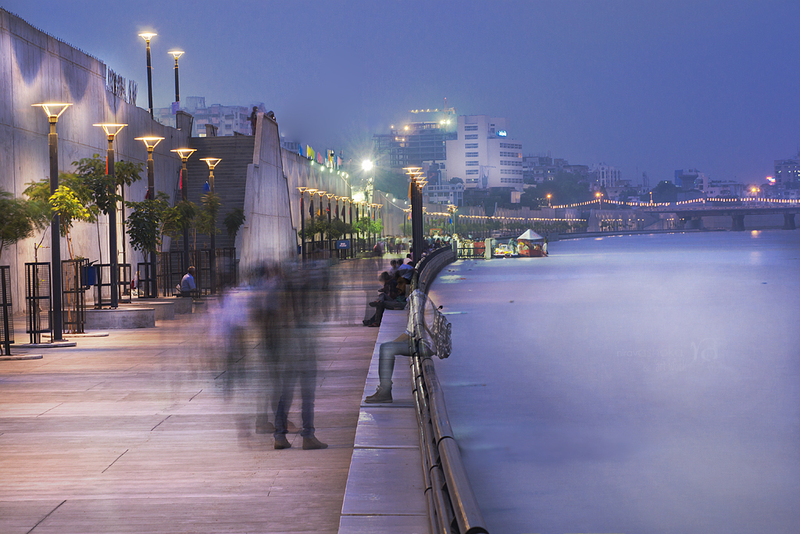 The Sabarmati Riverfront Development Project is an initiative started by the Ahmedabad Municipal Corporation to develop the Sabarmati riverfront in Ahmedabad. 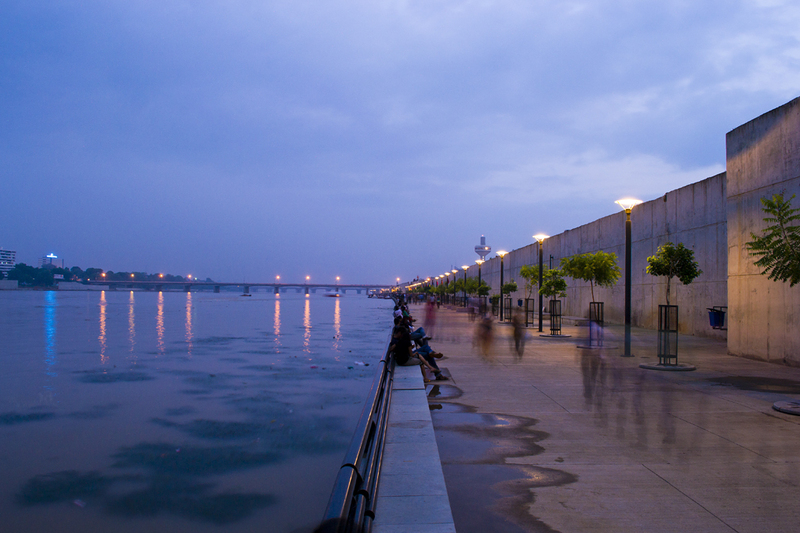 It is being developed by the Sabarmati Riverfront Development Corporation Limited (SRFDCL). It is the largest slum displacement project till now. This project is taken with the main goal of environmental improvement and provision of housing for the poor people who reside along the river bed. This project is planned as a self financing project. The project includes walkway development, road development along the river, promenades, garden, and construction of 4000 houses under slum rehabilitation, amusement parks, golf courses, water Sports Park and construction of Kotarpur Weir. 10.4 km long walkway is open now for public use. Water amusement rides including speed boat and motor boat have been initiated between Nehru Bridge and Gandhi Bridge. Both the walkways and the rides were inaugurated by the honourable chief minister of Gujarat Mr.Narendra Modi on 15th August, 2012. There are plans of organising the Vibrant Gujarat Navratri Mahotsav at this place.